Norb Gotner was born in 1935 in Kansas City, Kansas. He was commissioned a 2nd Lt through the Air Force ROTC program at the University of Wichita on January 24, 1958, and went on active duty beginning March 18, 1958. Lt Gotner completed Navigator Training at Harlingen AFB, Texas, in December 1958, and then completed Electronic Warfare Officer (EWO) school at Keesler AFB, Mississippi, in October 1959. After attending B-52 Stratofortress Combat Crew Training, he was assigned as a B-52 EWO with the 492nd Bomb Squadron at Columbus AFB, Mississippi, from December 1959 to May 1962. He attended B-58 Hustler Combat Crew Training from May to December 1962, and then served as a B-58 Defense Systems Operator (DSO) with the 365th Bomb Squadron at Bunker Hill AFB, Indiana, from December 1962 to January 1965. Capt Gotner next completed the Missile Launch Officer course at Sheppard AFB, Texas, in May 1965, followed by service as a Titan II missile combat crew commander with the 373rd Strategic Missile Squadron at Little Rock AFB, Arkansas, from May 1965 to October 1969. Maj Gotner completed F-4 Phantom II Combat Crew Training in May 1970, and then served as an F-4 Weapons System Officer (WSO) with the 25th Tactical Fighter Squadron at Ubon Royal Thai AFB, Thailand, from July 1970 until he was forced to eject over Laos and was taken as a Prisoner of War on February 3, 1971. After spending 785 days in captivity, he was released during Operation Homecoming on March 28, 1973. Maj Gotner was briefly hospitalized to recover from his injuries at Travis AFB, California, and then attended Air Command and Staff College at Maxwell AFB, Alabama, from August 1973 to August 1974. Col Gotner's final assignment was at Malmstrom AFB, Montana, where he retired from the Air Force on April 1, 1978. Norb Gotner died on September 25, 2013, and was buried at Willamette National Cemetery in Portland, Oregon. 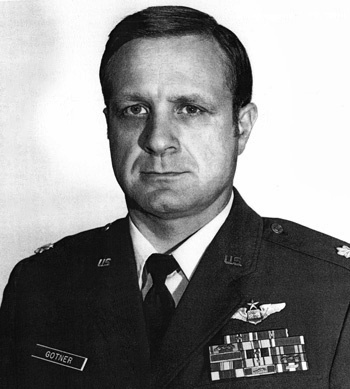 Major Norbert A. Gotner distinguished himself by extraordinary achievement while participating in aerial flight as an F-4D Weapons Systems Operator over Southeast Asia on 15 September 1970. On that date, he flew in the lead aircraft of a scrambled flight of two F-4Ds and struck an opposing armed force moving across hostile territory. His accurate bombing attacks into intense small arms fire caused numerous casualties and disrupted the movement of the hostile force. 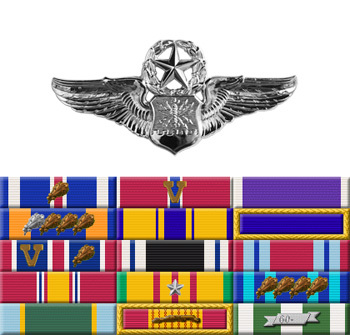 The professional competence, aerial skill, and devotion to duty displayed by Major Gotner reflect great credit upon himself and the United States Air Force.